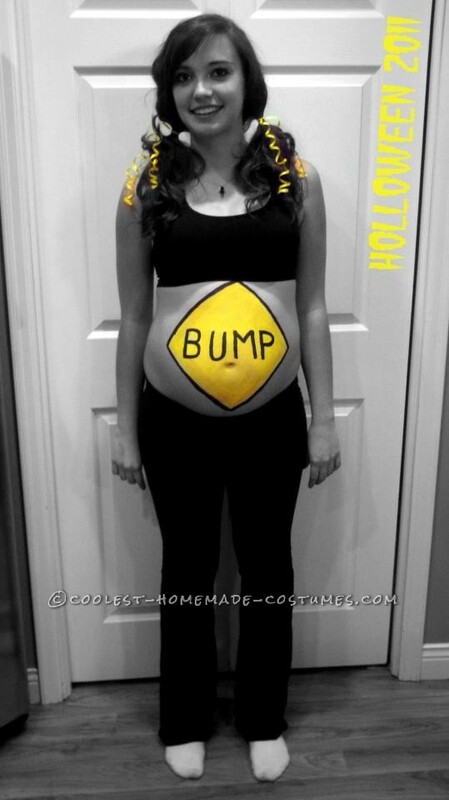 This pregnant road sign Halloween costume is incredibly simple! Just get the one dollar paints from your average craft store. First trace a yellow triangle on your tummy, outline it in black, and write the word bump! I added colored ribbons in my hair for a little more oomf ! Other than that I just wore a black sports bra and black pants. The Very Best Last-Minute Costume Idea: Bag of Jelly Beans!